What a neat item for that Ancient Worlds lover. This is a wonderful Ancient Egyptian stone relief or stella in wonderful condition. 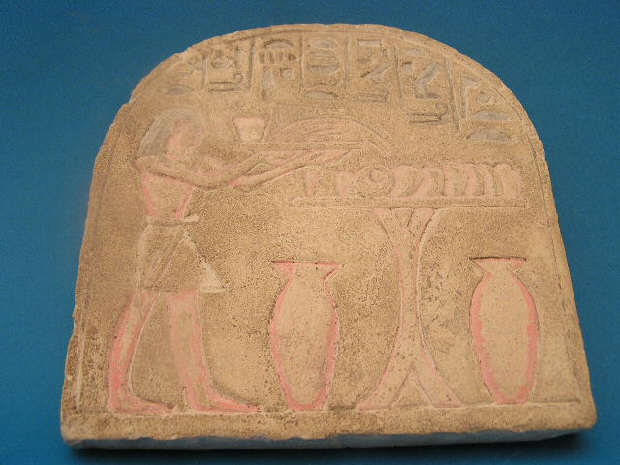 This lovely item reflects An ancient Egyptian High Priest standing before an altar with an offering of food for the Gods. There is some applied pigments used to bring this marvelous relief to life. 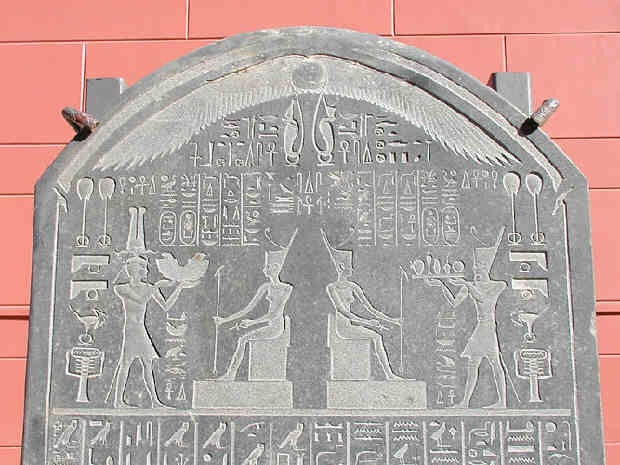 Hieroglyphics appear above the high priest. This piece has extremely wondeful workmanship and skill by its ancient artisan in a time when tools were completely primitive. This is a marvelous and rare relief and the photographs do not nearly touch on its magic and beauty!. This superb piece measures 6" by 5.5" inches. 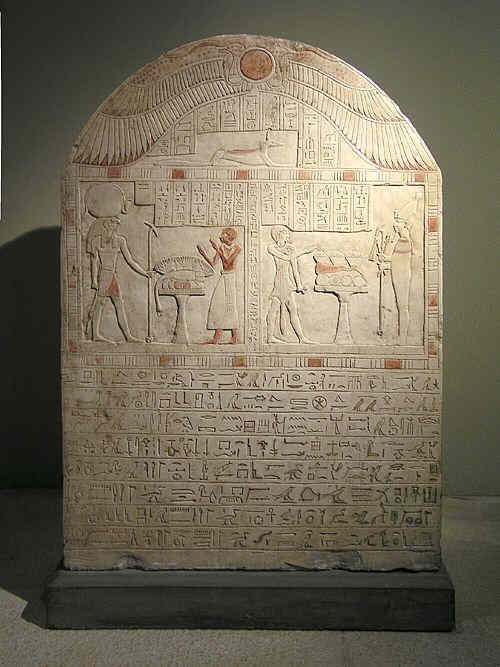 A stela of the Pharaoh Nectanebo I of the 30thDynasty. Egyptian Museum, Cairo, Egypt.